The Yangmingshan Hot Springs are located in the Datun Volcano Group. The geothermal heat from the volcanic activity here has given birth to a number of hot springs: mainly of the white sulfur variety, followed by green sulfur springs. 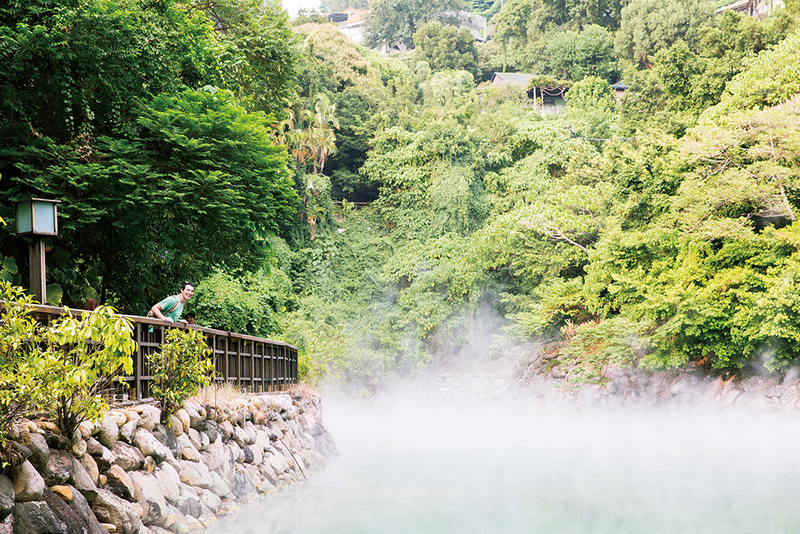 Yangmingshan joins Beitou, Guanziling, and Sichongxi as one of Taiwan four major hot spring areas. The springs are divided into the Qianshan and Houshan areas. There are several spring resorts in the area. The park's rich natural ecology, geological landscapes, and mountain cuisine further make this a good place to vacation in northern Taiwan. Nat'l Hwy 1→ Taipei Interchange → Prov. Hwy 2B → Bailing Bridge → Zhongzheng Rd. → Prov. Hwy 2A → Zhuzihu Rd.